According to the LA Times in late September 2011, Hollywood's business model was poised to make a revolutionary shift. Due to a rapid 40% decline in home entertainment revenue (from the once-profitable sale of DVDs, the previous revenue model), the newest switch would be to video on-demand (VOD) services and the acceleration of the digital delivery of movies over the Internet. Many options would be developed to accommodate consumers' Internet-connected digital devices (smartphones, tablets, and TVs), in order to facilitate digital movie consumption (and collection) via downloads. The article ("The Revolution Will Be Downloaded") predicted: "It may be the biggest shift in Hollywood's business model since the explosion of the DVD in the late 1990s." However, the complexity of downloading a film on one device for viewing it on another device (in the bedroom, minivan, or portable DVD player) was a hurdle to be overcome. Storing and Watching Movies in the "Cloud" - Consumers would be able to watch a purchased film on any Internet-connected digital device, with just a login and password to access their locker in the 'virtual' cloud. Digitizing DVD Collections - Services would be available to copy (or convert) one's movies from DVD to a 'digital locker' in the cloud. Tech-savvy computer users could convert their films themselves and upload them. Different Price Points - Premium video on demand would be the most expensive in the first few weeks of a film's release. Then a few weeks later, a less expensive digital copy could be purchased. The cheapest option would be to wait for a rented digital copy or DVD, available only after a longer waiting period. Social Networking - A list of recommended or preferred films would be personally generated for each user and available for purchase from choices made in social networks (Facebook's 'like', or Amazon's/Netflix's recommendations, or even YouTube). People could use social networks to watch films with friends, share clips, play social games (movie-related), and get recommendations based on the 'likes' of people on their friends lists, or the most popularly-viewed clips. Multiple Screens - More than one digital screen could be synched up for a single film, to present additional angles, directorial commentary, text, etc. The Creation of Movie-Specific Apps - Smartphones and tablets would be more than just movie screens. They could be used as ancillary 'second screens' with additional content for the film being watched on another device. With DVD revenues, domestic box office, and movie theatre attendance down, an experimental new business model was attempted in mid-2011 - the early launching of premium VOD titles. The trial idea was to generate new and untapped revenue before the DVD release, when movies were often not legally available. It was the first time that a major studio movie would be available on TV sets (at a premium price) very soon after playing in theaters. The risk was not knowing how many subscribers would pay $30 for a movie that had already played in theaters and would soon be available to rent on DVD in about a month. [Note: DirecTV already offered its approximately 6 million subscribers about 6,000 titles on demand through its DirecTV Cinema initiative.] Proponents argued that it would provide an alternative to piracy and have little or no effect on ticket sales. However, the project was still viewed as a possible threat to bricks-and-mortar theaters, especially movie chains (such as Cinemark, AMC and Regal) that had just started to conduct expensive upgrades to accommodate digital and 3-D projection. In protest before the launch, 23 prominent film makers - including directors James Cameron, Peter Jackson and Robert Zemeckis - urged movie studios to reconsider participating in "Home Premiere." Hollywood studios were increasing distribution rights for their films and TV programs to Internet companies, as opposed to traditional TV channels, in a move to make more revenue. Income from new licensing deals with film studios began to provide substantial income for many Hollywood studios. For example, DreamWorks Animation SKG, Inc, a large supplier of media content (films and TV specials), ended its long-running pay-TV deal with cable station HBO in 2011. It signed a new deal to pump its content through Netflix. This was the first time a major Hollywood supplier chose Web streaming over pay television. Netflix planned to begin exclusively streaming DreamWorks films starting with movies released in 2013 and running through 2016. At the same time, Amazon was competing by bulking up its streaming video service (dubbed Amazon Prime) with movies and TV shows from 20th Century Fox (including 2,000 older films and TV shows). As an incentive to prospective digital purchasers, studios were also accelerating their offerings of movies for sale online before they could be bought on disc. Film studios took advantage of the proliferation and use of social media to produce positive word-of-mouth and boost sales through various digital video sources. (Digital video referred to TV shows, ads, amateur videos and original digital videos shown online that could be watched using a variety of devices such as computers, smartphones, tablets or internet-connected TVs.) Twitter, YouTube and Facebook and other services also provided a powerful marketing tool for the film industry. Home streaming of video content continued to boom and topple traditional DVD and Blu-Ray revenues. Revenue from Blu-Rays and DVDs decreased by $3 billion between 2009 and 2013. DVD sales in 2017 continued to shrink - total consumer spending on DVDs fell by 39% in 2017 compared to 2016. There was a corresponding increase in home entertainment revenues beginning in 2012, due in part to increased downloading and streaming of movies from digital sources and the Internet (through devices including smartphones, tablets, and SMART TVs), and buying and renting from digital services. Purchases of consumers that were adding up included accessing and/or owning electronic-digital copies of movies and subscriptions to online streaming services. 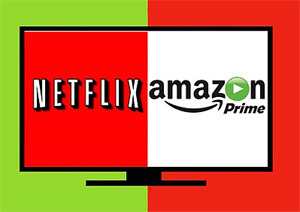 The newest businesses to benefit included Netflix Inc., Apple Inc.'s iTunes and Amazon.com (for Amazon Prime), Best Buy's CinemaNow, Google Play, Hulu, and Wal-Mart's Vudu. Google Chromecast entered the home streaming market and surpassed Apple TV for second place in market share behind Roku. In mid-2013, Amazon acquired Viacom (owner of MTV, Comedy Central, Nickelodeon, and other networks), previously aligned with Netflix. It was the online retailer's largest licensing deal to date. The result was that it could provide a slate of exclusive offerings on Amazon Prime. Another coming trend involved a new technology (an online storage service for consumers' purchased digital content) dubbed Ultraviolet that would allow consumers to store digital copies of movies in the cloud. By mid-decade, consumer spending on digital video sources (rather than physical formats such as DVDs or Blu-Ray) had increased significantly, and had overtaken physical products in the marketplace. Businesses that were declining included the rental spending sector (but not VOD) and video rental kiosks (such as Redbox). Another major development was that by 2013, more films were being shot digitally than through traditional celluloid means. With the enormous growth of VOD and online streaming, companies such as Netflix and Amazon began producing their own big-budget feature-films. The rise of new subscription services, and competition for market share from players such as Netflix and Amazon offering original movies produced incredible changes in the industry. Exclusive acquisition deals or arrangements also became commonplace between the studios and subscription VOD services and products (sometimes involving the imposition of exclusive theatrical windows for showings, or the sharing of original movies on other platforms, such as Hulu). Although streaming services (such as Netflix and Amazon) were making inroads with some of their programming choices (e.g., Netflix's House of Cards and Amazon's Transparent), there were few if any break-out hit movies. Netflix, Amazon Prime, Showtime, HBO, and others had entered the movie industry with their own original content in small to medium-budgeted movies that were reaching larger and larger audiences. In 2015, Netflix released eight self-produced films (then 28 films in 2016 and 26 films in 2017). The closest the services came to bona-fide hits were Spike Lee's Chi-Raq (2015) (at $2.6 million) (it was Amazon's first theatrical release) and Netflix's and director Cary Fukunaga’s child-soldier drama Beasts of No Nation (2015) (at only $91,000). In fact, Beasts of No Nation (2015) was Netflix's first feature-film release. 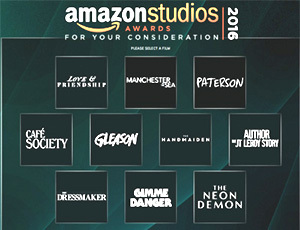 With its support of Manchester by the Sea (2016), Amazon Studios became the first streaming service ever to produce a film nominated for Best Picture. Many of Amazon's productions became 2017 Sundance nominees, as well as becoming available for viewing on Amazon Prime. Netflix won its first Oscar for a feature film: Icarus (2017), about systematic Russian doping at the Olympics, in the category of Best Documentary Feature. Hulu's "virtual" pay-TV service, offered 50-plus channels including ABC, CBS, Fox and NBC in most markets. In addition, Hulu said that 78% of viewing on the service took place on Internet-connected TVs. However, in 2018, Netflix remained a major competitor, with more than double the amount of Hulu's US streaming subscribers (56.7 million). In one of the biggest showbiz mergers of all time, Disney purchased 21st Century Fox for $52.4 billion (in stock). The deal was valued at $66.1 billion including debt. It was part of Disney's plan to acquire more content for a future launch in 2019 of its own subscription, stand-alone streaming service that could compete with Netflix. Some of Disney's acquired assets from Fox included Fox's movie studios, the National Geographic Channel and FX, Asian pay-TV operator Star TV, and Fox's stakes in Euro satellite broadcaster Sky (39%), Endemol Shine Group (50%) and Hulu (30%), as well as 22 regional sports networks. 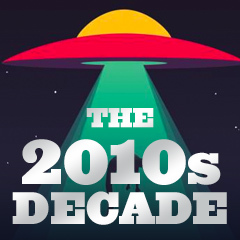 It was noted that Disney's content (including its very popular animated features, Marvel and Star Wars films) would now be supplemented by Fox's X-Men, Alien, The Fantastic Four, Avatar and Predator franchises in addition to TV shows like The Simpsons, Family Guy, Modern Family, How I Met Your Mother and The X-Files. It was also hypothesized that the number of studio releases would likely shrink due to the absorption. A major trend that emerged was the proliferation of alternate TV-watching subscription services (and online streaming) by major outlets, and the growth of Internet-delivered TV. By mid-2015, about 7% of all US households (about 8.4 million) subscribed to broadband service and at least one streaming video service (or OTT, an acronym for over-the-top), but did not subscribe to pay TV. Cable TV subscriptions continued to decline. People were watching less TV and going to fewer theatrical movies. By the end of 2017, it was estimated that 22 million US adults were cord-cutters who had canceled their traditional pay-TV (cable and satellite) services. According to researchers (as reported in Variety), that figure was up 33% from 16.7 million in 2016. And the number of "cord-nevers" (consumers who never subscribe to pay TV) was predicted to rise 5.8% in 2017, to 34.4 million. In 2017, approx. 196.3 million US adults had pay-TV services, but looking further out to the year 2021, that number would decline to 181.7 million. Overall by 2021, around 30% of American adults wouldn't have traditional pay TV. Cable companies were finding that pay-TV subscribers were cancelling, while others were signing up for broadband. Statistically, about 56% of all US households had at least one Internet-connected TV. Consumers were sending a clear signal - they did not want cable packages of 200+ channels (most of which they didn't watch or need) - and were becoming "cord-cutters," preferring instead to have a la carte approach to television subscription plans. 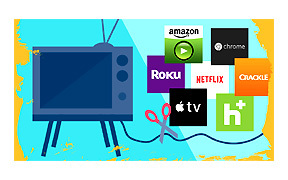 Many products were being offered as alternatives to regular TV programming, from many sources: Amazon Video (Prime), Hulu, Apple's iTunes, Netflix, Sling TV, Roku, YouTube, and others. 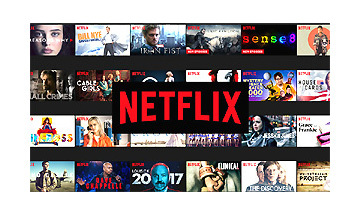 One of the biggest winners as a result of these changing trends was Netflix - the booming streaming service that had also invested heavily in creating its own individual content, and had dramatically increased its subscriber base across the globe, with more cost-effective alternatives to moviegoing. This new development was just enough to encourage more pay-TV/cable service subscribers to drop their cable services. However, TV viewers had to take into consideration that a fast Internet connection would still be required (without the TV/cable bundling discount to defray the cost). Throughout the decade, attendance was mostly down at movie complexes. Most often, factors affecting box-office results included the difficult recessionary economy (until late in the decade), rising ticket prices (especially premium rates for 3-D), consumer fatigue and over-familiarity with sequels and remakes, more viewing options (VOD, streaming, etc. ), poor image and sound in multiplexes, overcrowded weekends, noisy or inconsiderate theatre patrons, the use of social media to instantly broadcast word-of-mouth film reactions, and the glut of other diversionary technological gadgets. 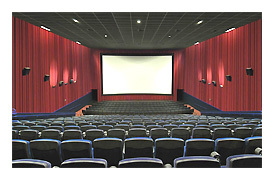 Entertainment dollars earned from attendance at the local multiplex were being threatened by numerous portable devices, advanced home theater systems, and numerous video-on-demand (VOD) services. In 2010, the number of tickets sold was almost 6% lower (the lowest in 15 years) than in 2009 (1.33 billion vs. 1.42 billion tickets), although revenues were similar due to steeper ticket prices for 3D. Many factors accounted for shrinking crowds attending movies - again down in 2011 to a 16 year low. It was noted by many industry observers that there was a noticeable decline in younger moviegoers at the multiplexes, a trend that began in late 2010 and continued afterwards. The trend had a serious impact on Hollywood film revenues. In 2013, studios began to expand their definition of "opening weekend," by premiering blockbusters (such as Iron Man 3 (2013), World War Z (2013), and White House Down (2013)) on Thursday evenings rather than at Thursday midnight screenings (Friday at 12:01 am). This caused a major shift in figuring out box-office totals, since Thursday grosses were now being added to traditional weekend totals. Hollywood celebrated in 2013 -- it was a record-setting year at the box office, with domestic revenues hitting close to $11 billion for the first time - the largest annual take ever. AMC Entertainment Holdings Inc., the world’s biggest movie theater chain owner, reported a bleak financial outlook for 2017, though, due to declining ticket sales in the film industry, especially in the third quarter of 2017. Increased consumer access to movies anywhere (digital subscriptions) and via on-demand services, changing movie consumption, and a shrinking of theatrical release windows resulted in a major decline in movie-theatre attendance. Overall, shares of movie theater operator AMC Entertainment Holdings, Inc. plunged 53.1% in 2017. Declines in revenue also affected three of the other largest North American movie theatre chains: Regal Entertainment Group, Cinemark Holdings and Cineplex. Many films started with a promising opening weekend, but then quickly faded and fizzled, especially when there was bad "word-of-mouth" for a film. The more casual movie-attenders were much more difficult to lure to theaters, and were more likely to wait to see the film in a few months through video-on-demand or on DVD. However, one of the bright spots was that foreign box-office revenues were climbing to an all-time high. Six major Hollywood studios reported $13.53 billion in overseas ticket sales in 2011 -- an all-time record, and up 6% to 8% over last year. This helped to off-set shrinking domestic revenues and declining DVD sales. In many cases, films that flopped or performed less well in the US did much better overseas.